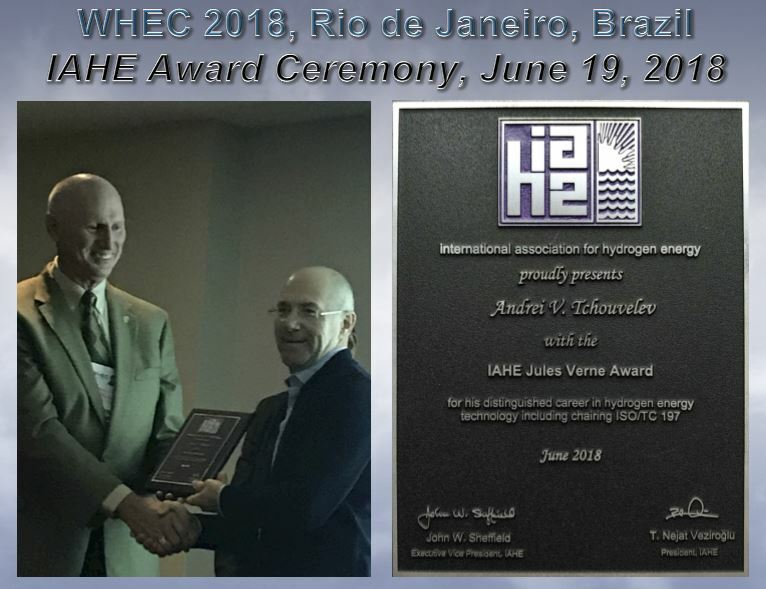 Our past president and honorary member Andrei Tchouvelev has been awarded the IAHE Jules Verne Award during the WHEC 2018. Dear Andrei, we all hope that your unique and outstanding “hydrogen career” goes on. Congratulations to Andrei in behalf of the whole HySafe network! With almost 300 hydrogen events – accidents, incidents and near misses – collected in a database, HIAD was one of the main results of the NoE HySafe (2004-2009) and still represents one of the largest collections for hydrogen specific data. With support of the FCH 2 JU JRC has updated the database, gave it new user interfaces and major release number (2.) and made it opened it for free access. The 2018 update of the research priorities will be done at the HSL premises in Buxton, UK. HySafe thanks HSL for hosting this important event. After the installation of the Privacy Protection tool some browsers blocked access to our website. This has been repaired. Access should be now possible. However, acceptance of our policy is still required. On 17th the World Hydrogen Energy Conference will start in Rio in “winter mode”. HySafe will present the Report on the research priorities workshop on Tuesday 19th at 2 pm. All interested contributors to the unique hydrogen safety event, the International Conference for Hydrogen Safety ICHS, which will be organised next year 24 to 26 September in Adelaide, Australia, are invited to submit a short abstract via www.ichs2019.com (menu item “ABSTRACT SUBMISSION”). Slow but steady wins the race! Research priorities published! The report of the last Research Priorities Workshop, organised commonly by JRC, US DOE and HySafe in fall 2016 in Petten, The Netherlands, has been finalised and published via the JRC print services. After a preliminary presentation by Jay Keller at the ICHS2017 in Hamburg, the full document provides a detailed reference for prioritised research topics in the field of hydrogen safety. BTW, if you want to contribute to the next version of this document, reserve third week in September. The 2018 version of the workshop will be organised in Buxton, UK in the premises of HSL. Posted on April 4, 2018 April 4, 2018 Author Thomas JordanCategories UncategorizedLeave a comment on Slow but steady wins the race! Research priorities published! Recently found in the web…. Posted on April 3, 2018 April 4, 2018 Author Thomas JordanCategories UncategorizedLeave a comment on Recently found in the web….